Provide comfort for the family of Richard Jones with a meaningful gesture of sympathy. 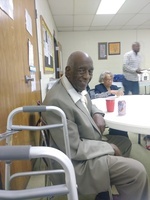 Richard C. Jones, Sr. 80, passed away March 14th. He was born May 4, 1938 to Vernon and Sarah Jones. Richard was known for his community work in the North Toledo and Point Place area. He was an advocate for Social Justice and was active in T.U.S.A., Toledoans United for Social Justice. Richard was preceded in death by his parents, loving wife of fifty-one years, Helen Jones; children, Leon Blackman “Snooky” and Leona Jones, step-son, Corey Colbert, Sr.; siblings, Trebla Seno J. and Emma J. Overall. 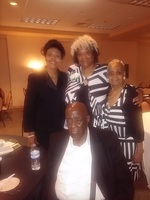 He is lovingly survived by his wife, Leslye Colbert-Jones “Bunny”; children: Robert Jones, Sr. “Po’ Rob” (Quincy), Danny (Arvella) Jones, Sr., Bernice Jones “Kricket”, Richard C. Jones, Jr. “Ricky”, Mamie Jones; step-children: Lisa Townsend, Marva Jones “Peaches”, Celena (Kalon) Chance-Pearson, DeLonna “Mush” (Sean) Clark, Naomi “KiKi” (Adonis) Curtiss; 25 grandchildren; 37 great-grandchildren; sisters-in-law, Margaret Blackman, Adellia “Dee”Jones and Carol Linzy; brother-in-law Norman (Cheryl) Sharpley; his church family at Glass City and many other loving relatives and friends. Wake Sunday 3-5pm at House of Day; Funeral, Monday 12 noon at Glass City Church of Christ; Family Hour preceding at 11am. Dr. Robert Birt, Pastor. 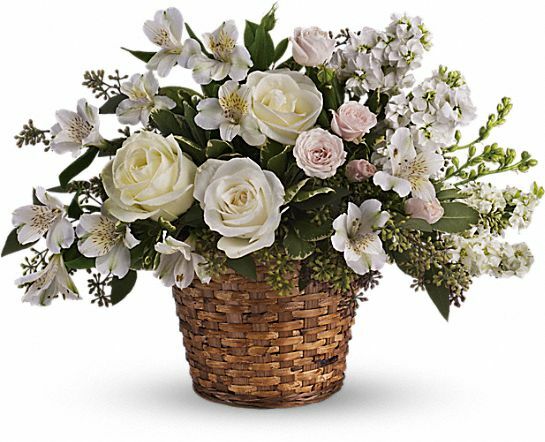 To send flowers in memory of Richard Charles Jones Sr., please visit our Heartfelt Sympathies Store. Men's Committee/the Glass sent flowers to the family of Richard Charles Jones Sr..
"MUCH LOVE " for Big C! With caring thoughts to the family! Men's Committee/the Glass purchased the Love's Journey for the family of Richard Jones.